Scarybug Games – Video Games! Help support Mechagami on Kickstarter! Did you ever play Super Metroid and wish you could take off in your spaceship and visit some other planets? Do you love vintage arcade games like Asteroids, Space Invaders, Joust, Missile Command, Defender, Lunar Lander, Sinistar, Gravitar and Centipede SO MUCH that you wish you could play them all at once? Do you love transforming robots, but get tired of the fact that they tend to be limited to 2 or 3 forms? Mechagami will solve ALL of these problems! As you discover the secrets of your tiny solar system, you’ll unlock new forms for your giant robot and upgrades to each form. Each form and upgrade incorporates mechanics from classic arcade games. You can smoothly shift from one form to another to respond to the various threats and puzzles you’ll encounter on your mission. Mechagami is a Flixel-based Metroidvania style indie game being developed by Scarybug Games. Here I’m showing off the gameplay from the first world and talking about the development process and inspiration. Chronotron for iOS Progress Video! Hey guys! We’ve got a video up on my YouTube channel of the progress so far on Chronotron for iOS. The big new feature will be the level editor, which is featured prominently in the video, along with the in-game pinch zoom, and much bigger, scrolling levels! This is still the early prototype phase, but Craig’s been adding content every day. We’re both really excited and hopefully you will be too, when you see the video. I’m about to release a game that’s been “done” for over 2 years. It was initially delayed due to the difficulty in finding a sponsor willing to back a game that requires a connection to a PHP proxy of a user’s recent twitter feeds, then, before I could make up my mind to just self-sponsor, I got hired as a designer/developer on Three Rings’ Free-to-Play Doctor Who MMO. After that stint, I started working on a new game, doing contract work, and living life so much that I totally forgot about TwitStorm. Then a few weeks ago I decided it was time to cut my contracting stuff back to part-time, and start putting some actual daylight hours into indie game development. While Craig and I are in the process of developing Chronotron for iPhone – and with Craig doing the actual iOS programming – it was high time to slap a CPMStar ad onto TwitStorm and let it sink or swim. It’s done. It’s a cute little toy. I don’t expect it to take the world by storm, but I like it and I think some people will as well! The very talented Craig Hinrichs and I have begun working together on a sequel to Chronotron for the iPhone (and possibly other devices later on). We’re still in the early stages of prototyping and designing, but we’re both very excited about this new project! 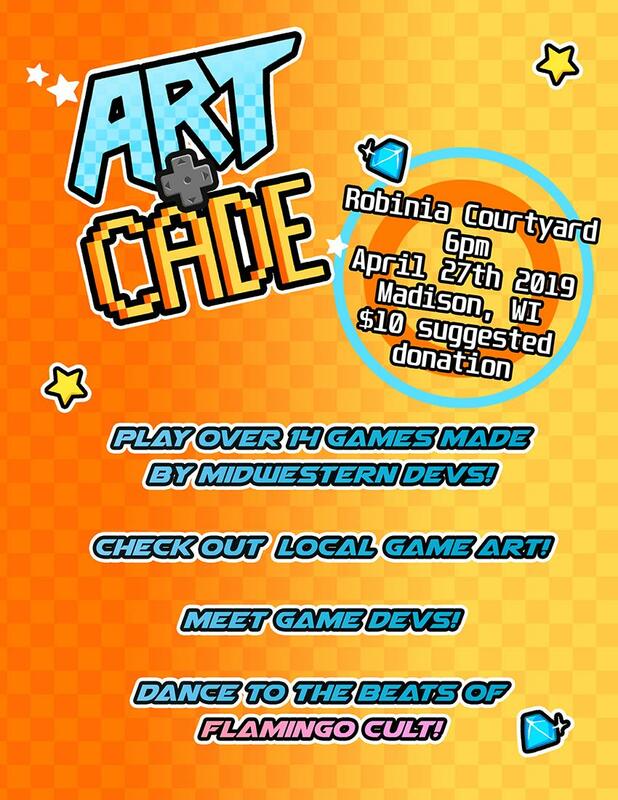 A little “Art Game” I made originally for the Madison Renegade Art Alliance. Salieri Fanboy is a microphone enabled game about ruining a Mozart Concerto by shouting insults. This is a video of some friends trying it out at a party. The game is currently up for bidding on Flash Game License, but I’ll probably just end of releasing it without a sponsor. Chronotron was nominated in the category “Best Performance by a Robot”. Winning games will be shown on the TV machine on June 27th. Chronotron nominated for Best of Casual Gameplay 2008 Award! Chronotron was nominated for a Best of Casual Gameplay 2008 award in the category of Browser-based Puzzle game! You can vote once a day, if you like. I’m working very hard behind the scenes to bring you something awesome. Winning this award would certainly make that something awesome more likely to happen. *wink*. Chronotron in the Wall Street Journal and around the Web! Chronotron was featured heavily in a recent Wall Street Journal article about the rise of Indie games. They mentioned fellow PAX 10 alum Schizoid as well! Speaking of PAX 10 alum, congrats to The Maw for winning the audience prize, and Project Aftermath for launching on Steam! I’ve been remiss in not linking to the post-Pax press that Chronotron received! Let’s take care of that now, okay? A review at Game Brain Spew. An Interview at Pixel Socks! After the interview Adam and I realized that we voice-act on the same (unreleased) drama podcast together. It’s a small internet! A video interview with me and the other PAX 10 at Silicon Era. This one focuses on music used in the games. An interview with fellow Flash Game License member, Freelance Flash Games. And an interview at Infinite Bits. A slideshow of photos taken at or near the Chronotron PAX 10 booth!